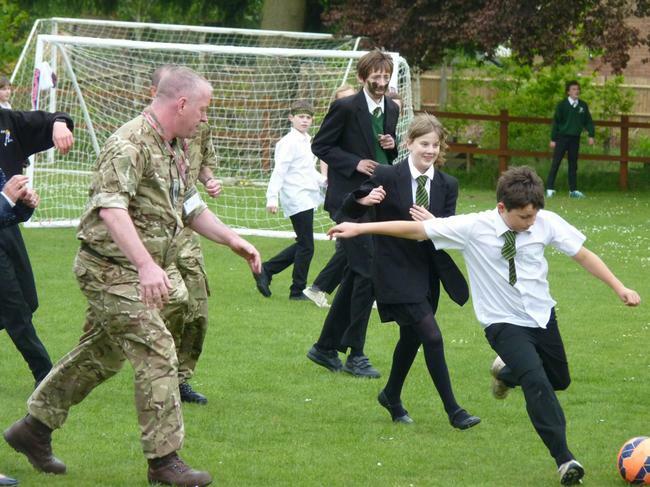 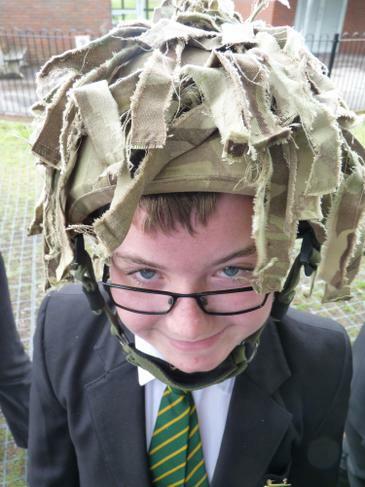 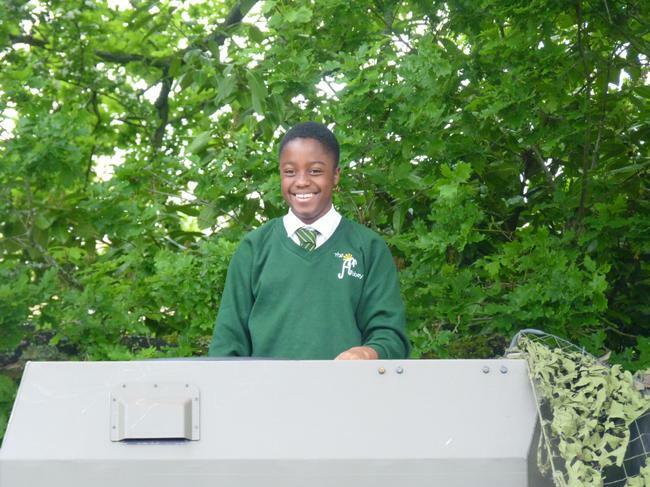 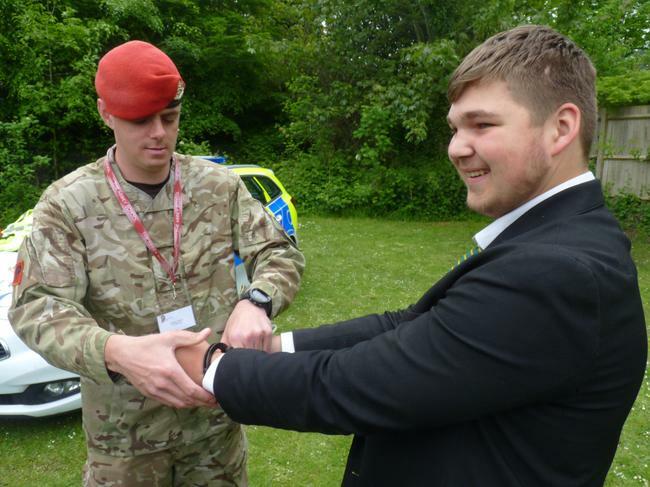 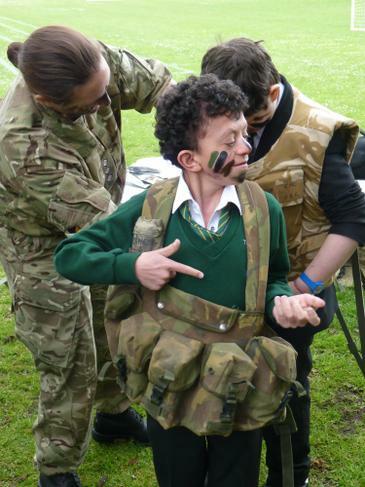 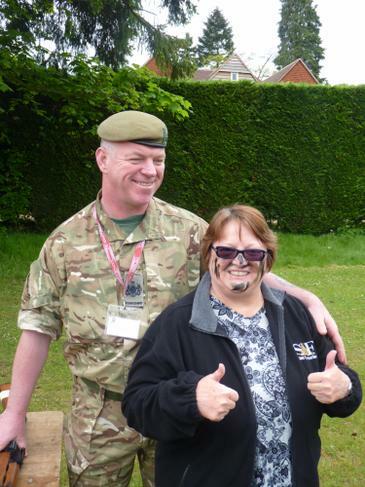 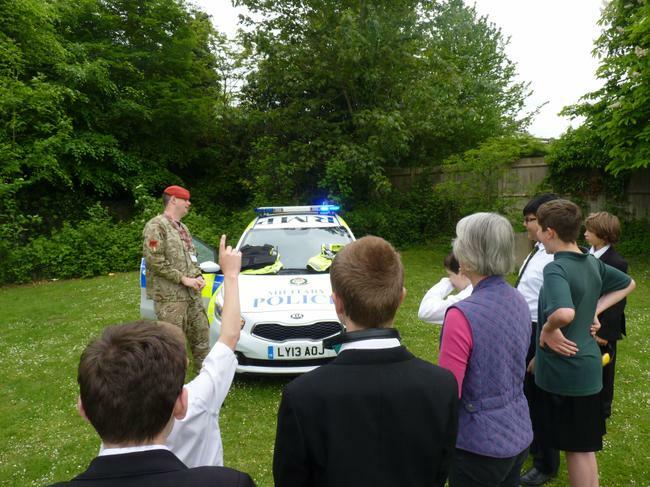 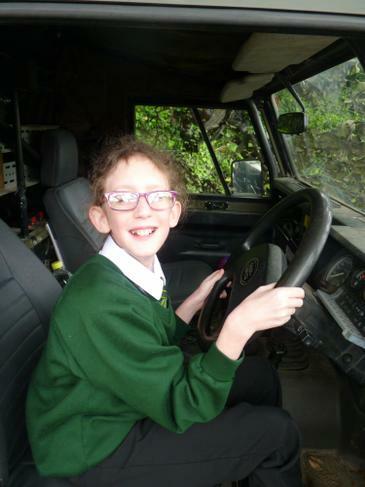 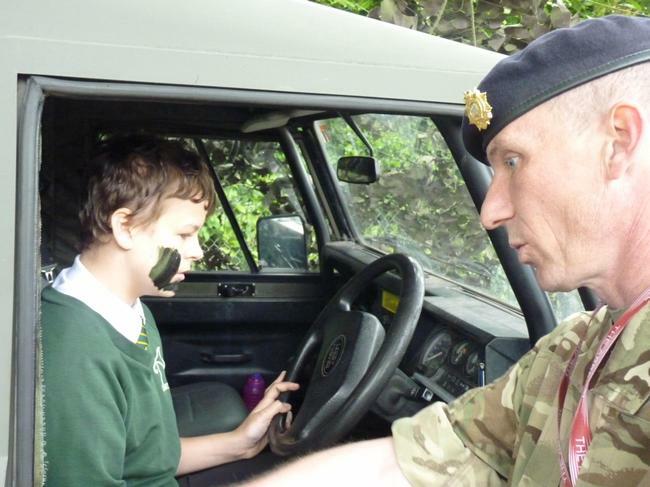 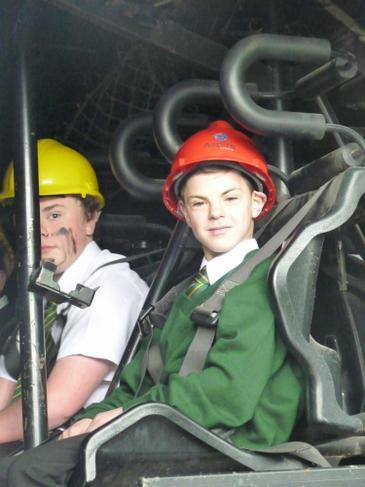 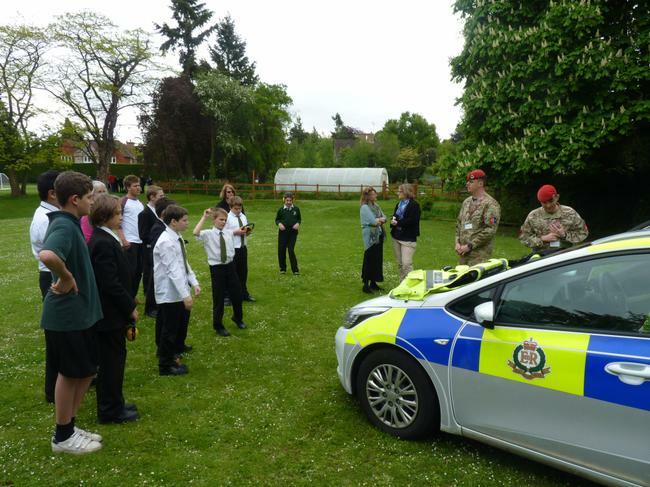 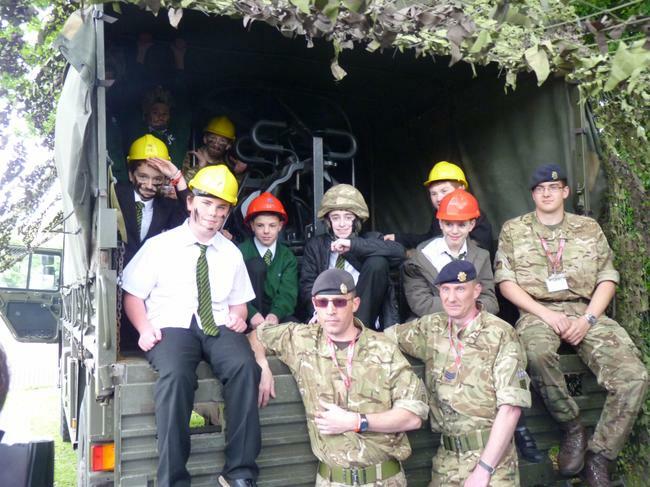 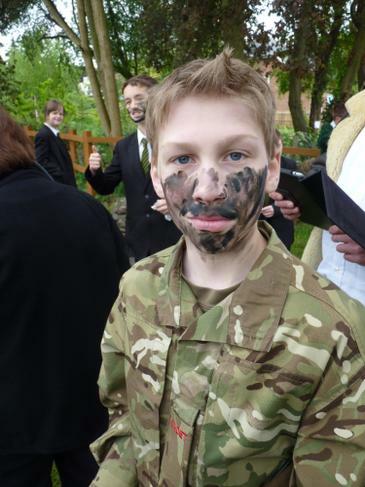 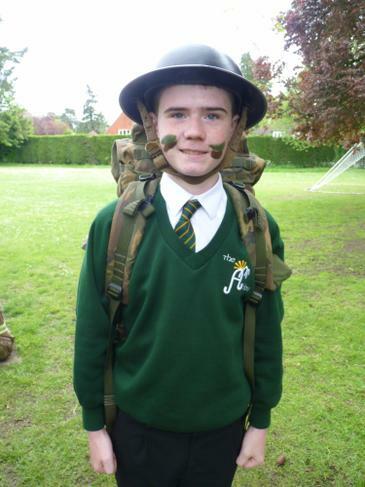 Students, and staff, were beside themselves with excitement and anticipation leading up to a visit from 12 representatives from Aldershot Garrison last week. 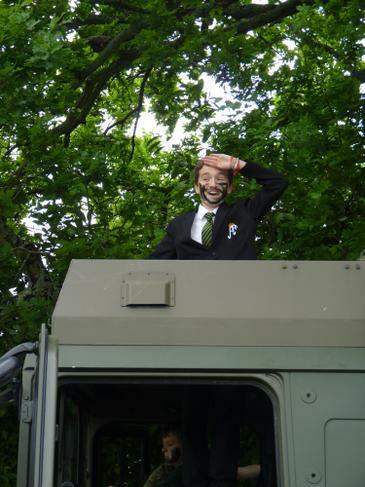 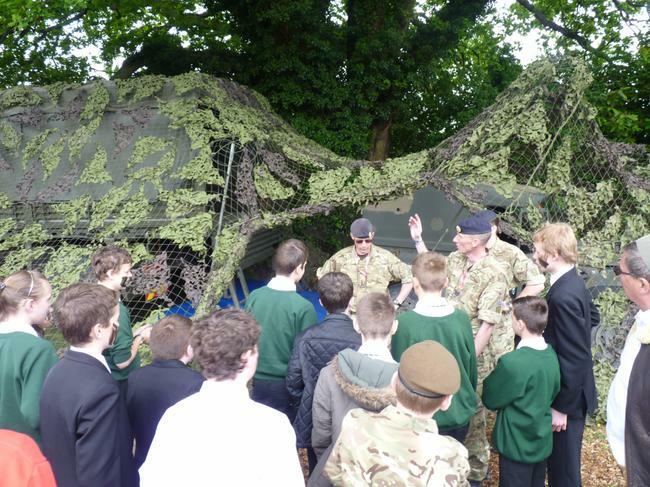 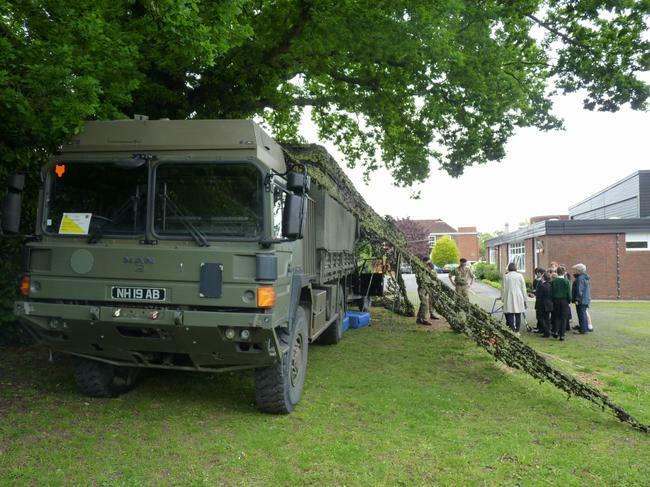 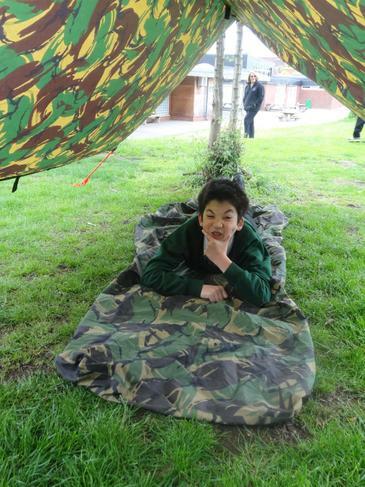 The visitors brought a range of vehicles and kit with them to show the students and set up a variety of different stands for small groups to circulate for very informative and interactive briefings on what life is like in the military including training, manoeuvres, uniform, camouflage, rations and discipline. 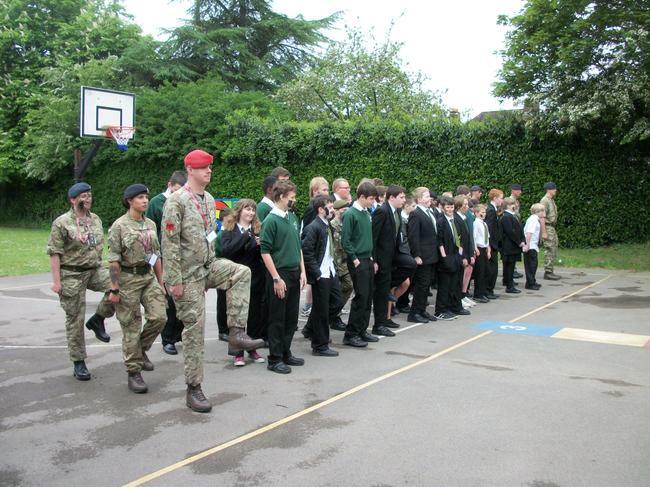 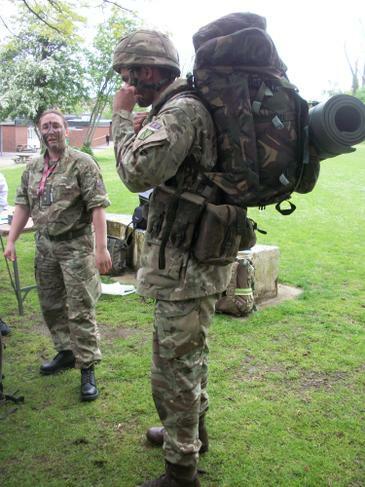 Each cycle ended with a spot of drill practice under the orders of the Garrison Sergeant Major! 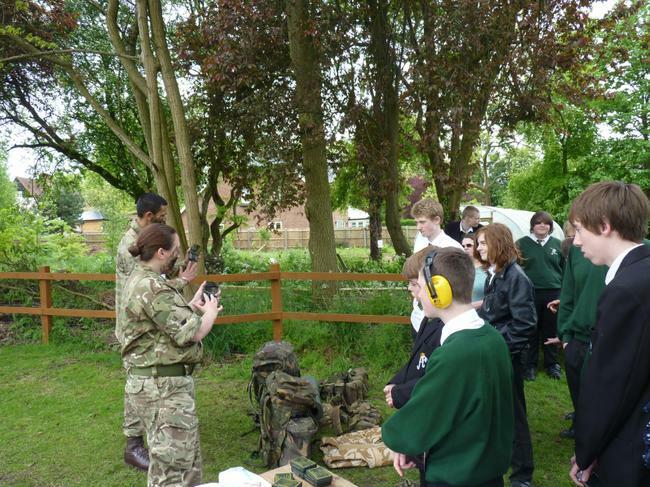 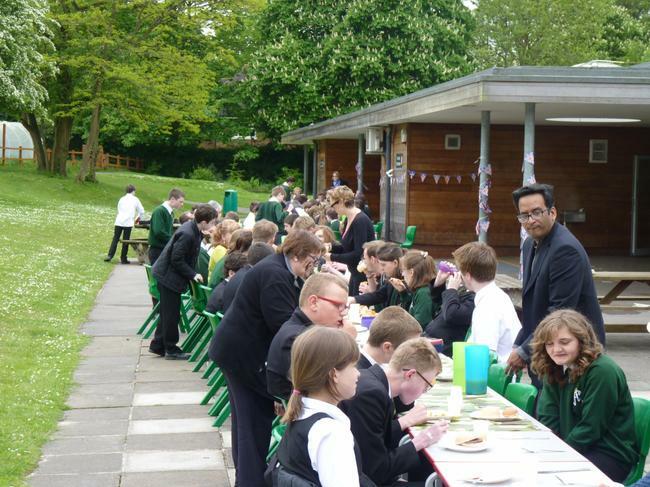 The students really enjoyed getting some hands-on experience and had lots of questions for their guests. 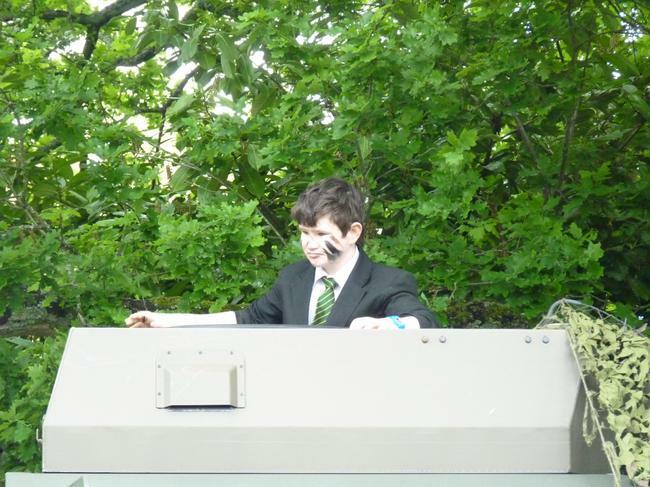 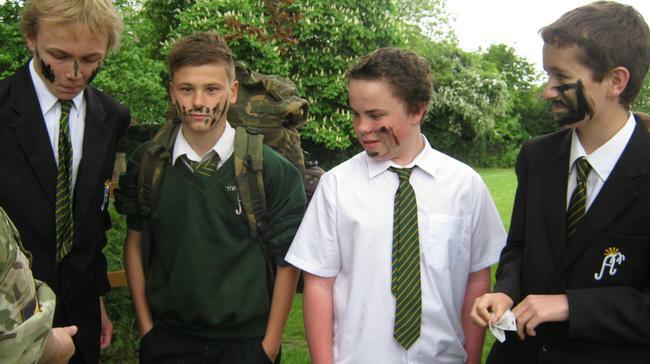 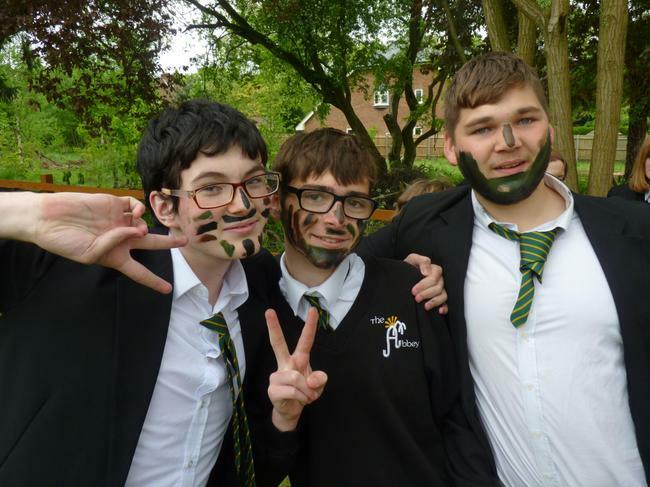 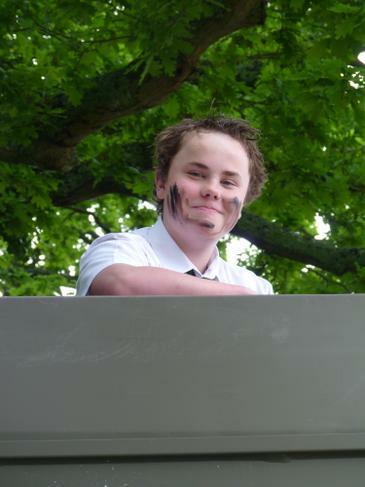 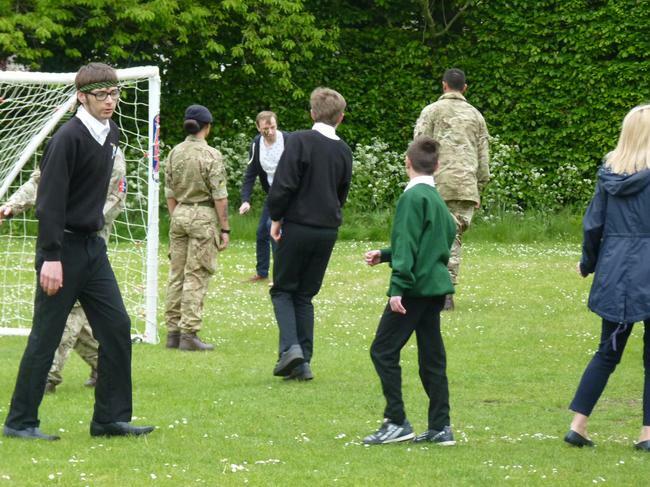 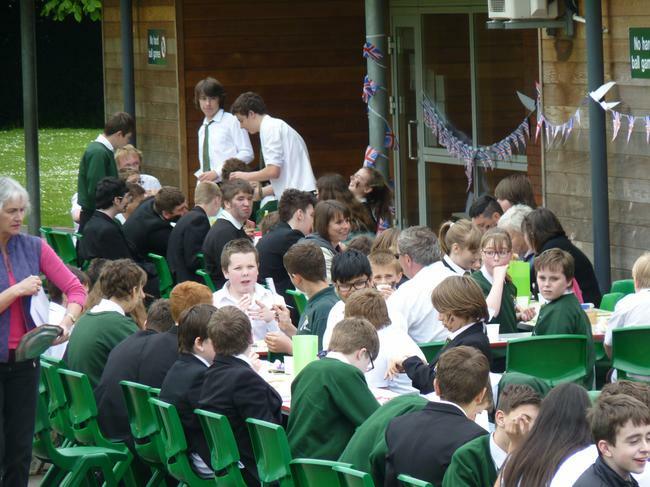 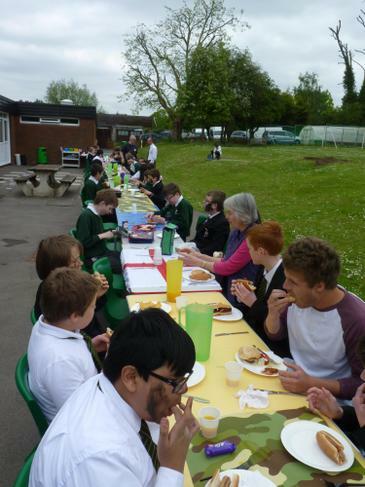 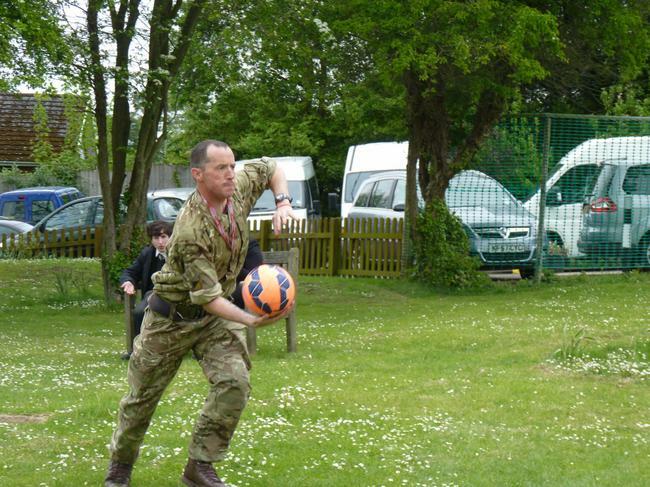 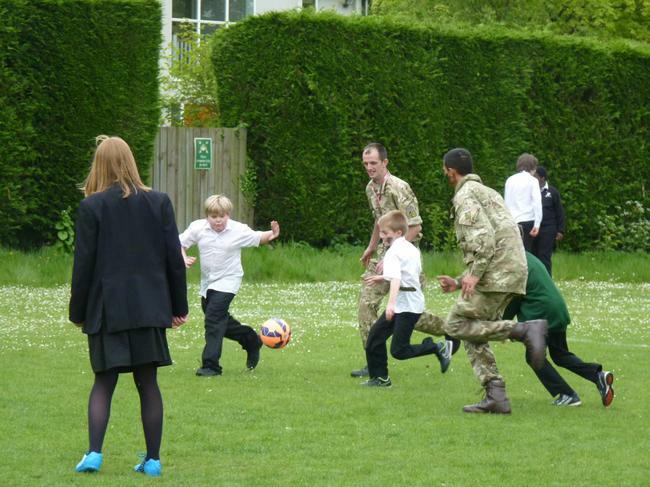 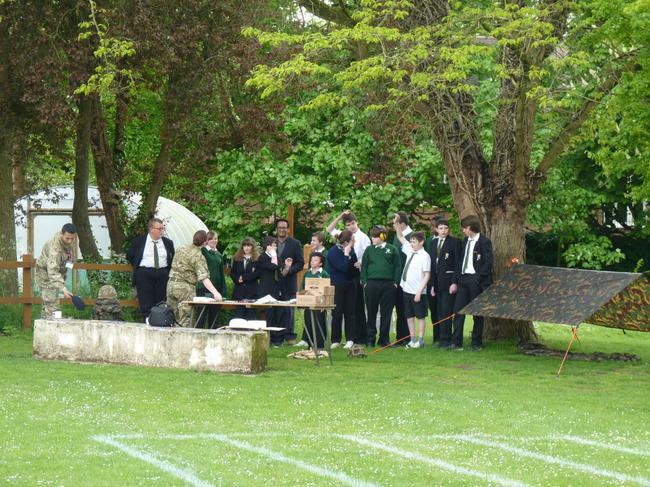 Following the instructive part of the day, everybody got together for a VE Day-style street party lunch followed by an impromptu match on the school football pitch.